I feel a lot of guilt when I don’t post here for awhile. So let’s not talk about it. Instead, let’s focus on summer. The weather is warm. The sun is out. 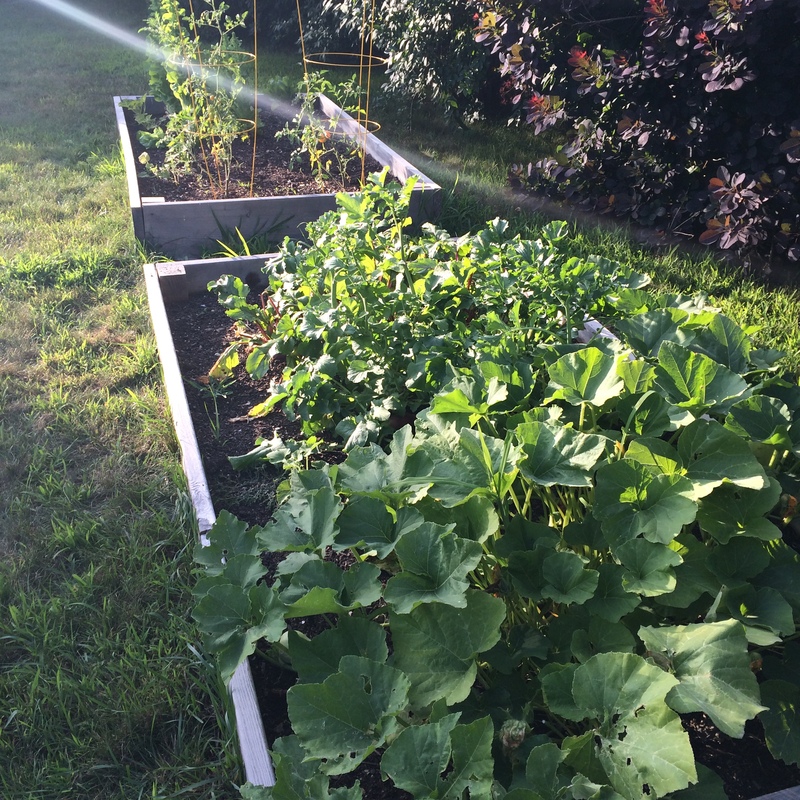 My garden is in full and bountiful bloom. I’ve also made the grand transition from winter squash-based recipes to summer squash-based recipes. There is no squash in this recipe. Shocker! But there is deliciousness that tastes like summer! I don’t really ask for more than that. Mix the beans through the salt in a large bowl, making sure to thoroughly combine so the lime juice and olive oil are well integrated. Chill for about 30 minutes in the refrigerator before serving. 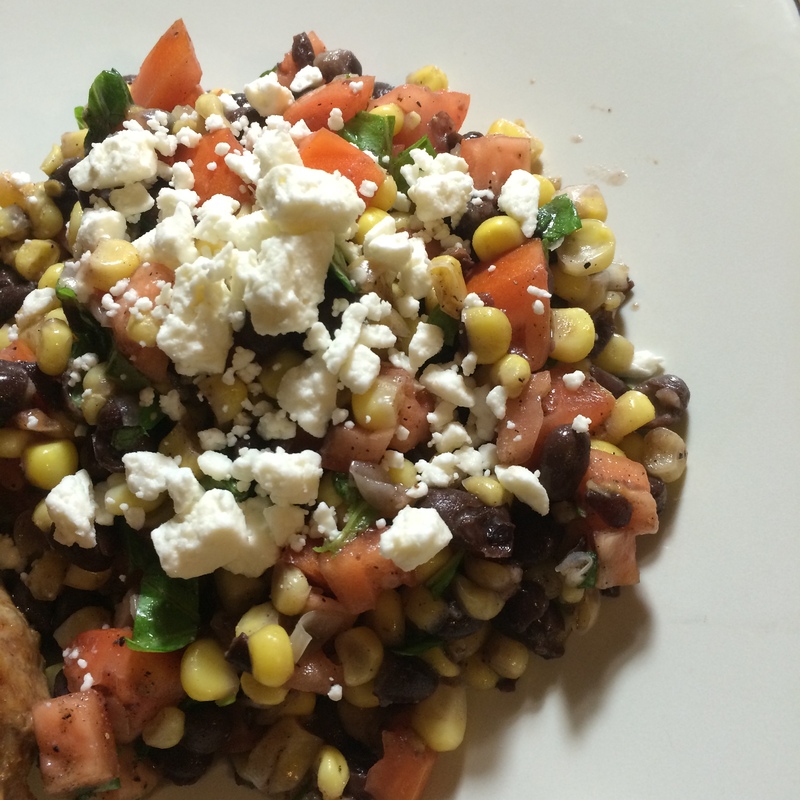 Scoop into bowls and top with crumbled feta. I served mine with a hot Italian sausage. Delish. I feel like it’s tough to be a person who loves beets. When I decide to open up about my feelings, people typically take the opportunity to let me know that they couldn’t disagree more. “They taste like dirt,” I’m told. Well I guess I must like eating dirt. 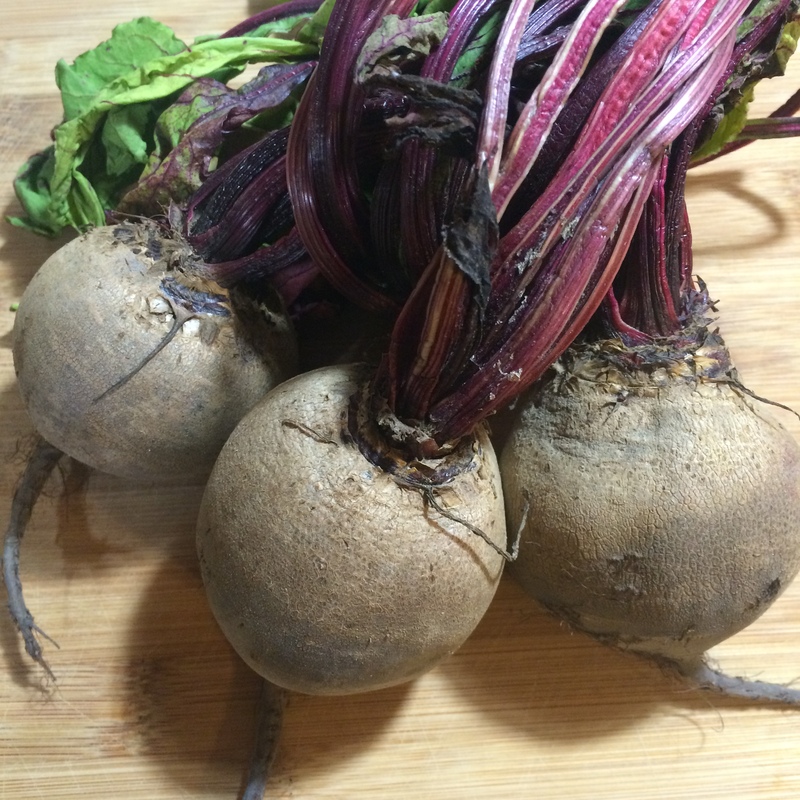 Because I canNOT get enough of beets and their stain-red goodness. 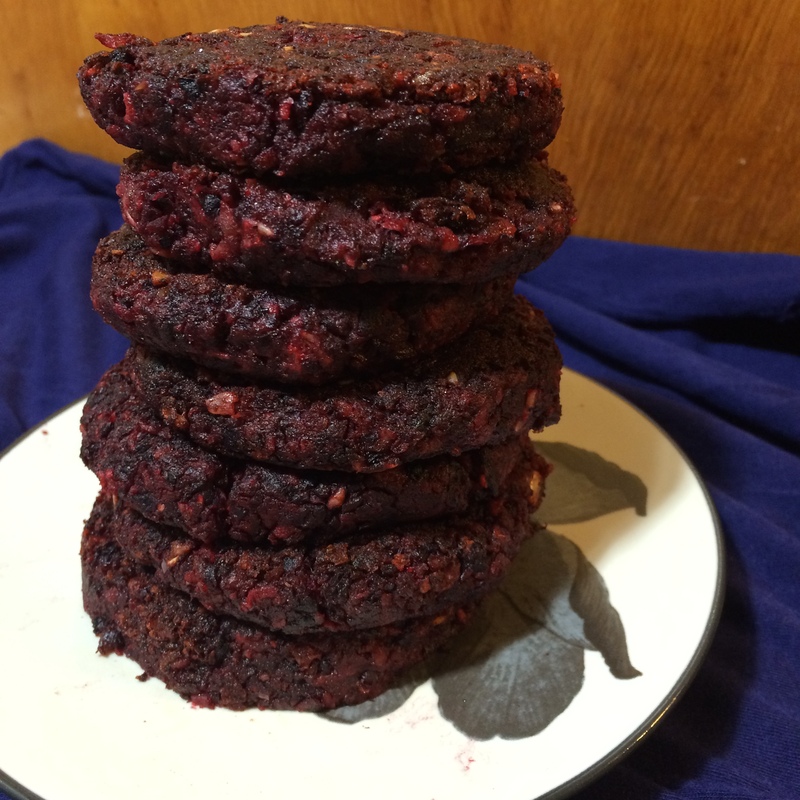 Because this is a cooking blog and you probably wouldn’t get much enjoyment out of a post about me eating beets and goat cheese in front of the TV, I realized I had to up my beet game. So this isn’t a beet smoothie recipe, and it’s not a how-to guide for eating cooked beets topped with goat cheese on a cracker while watching How I Met Your Mother. 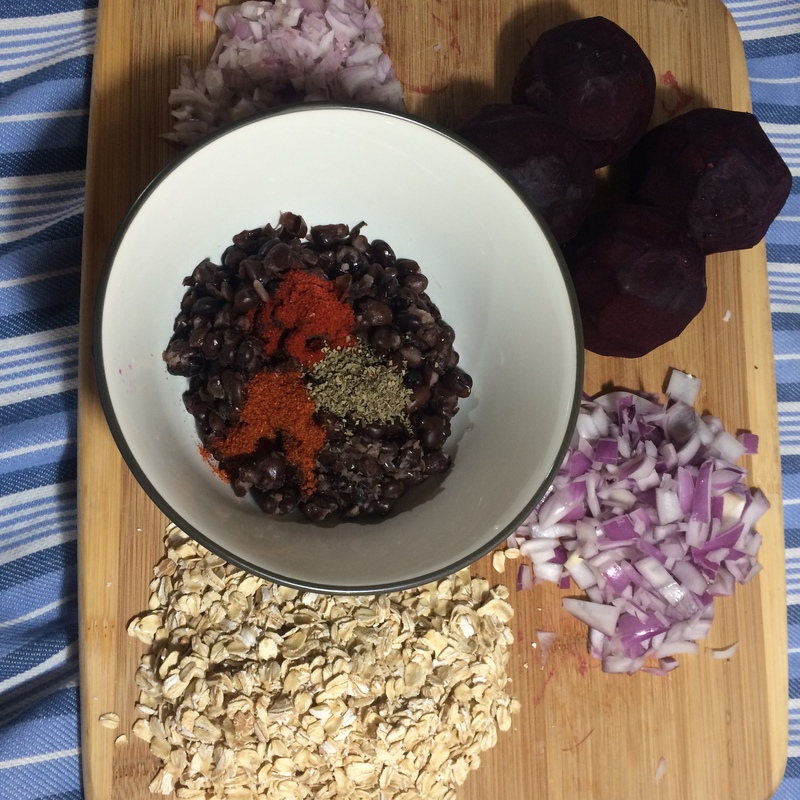 No, this recipe is a fabulous mix of black beans, goat cheese, oatmeal and spices that is so tasty even my husband (who wasted no time letting me know his less-than-favorable feelings about beets) is eating them. 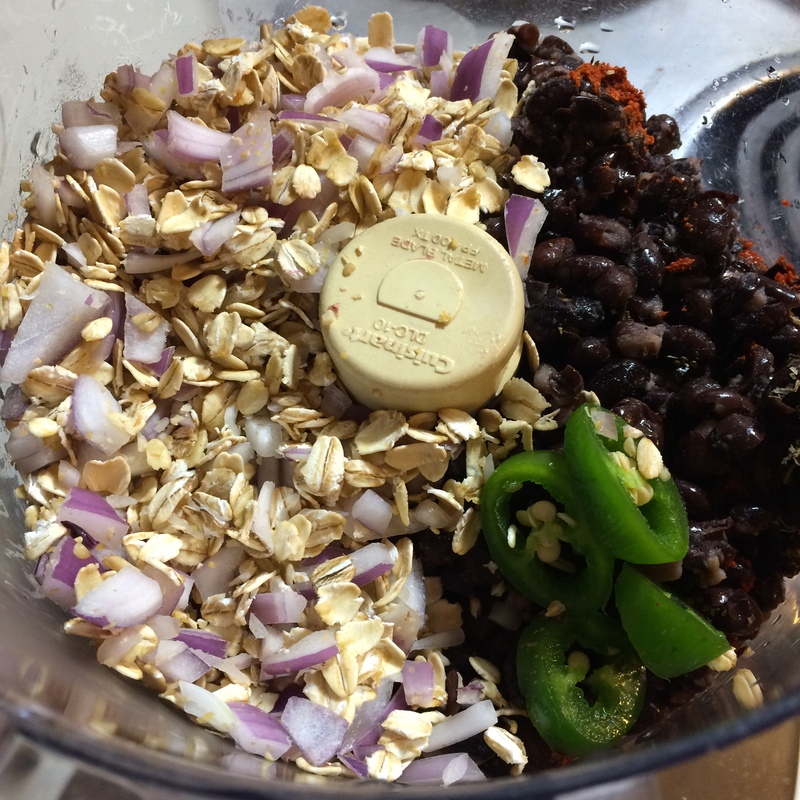 Place the oatmeal, black beans, onion, shallot, garlic, jalapeno and spices in a food processor and pulse until just mixed. You don’t want to puree it but make sure all ingredients are combined and it has a good texture. 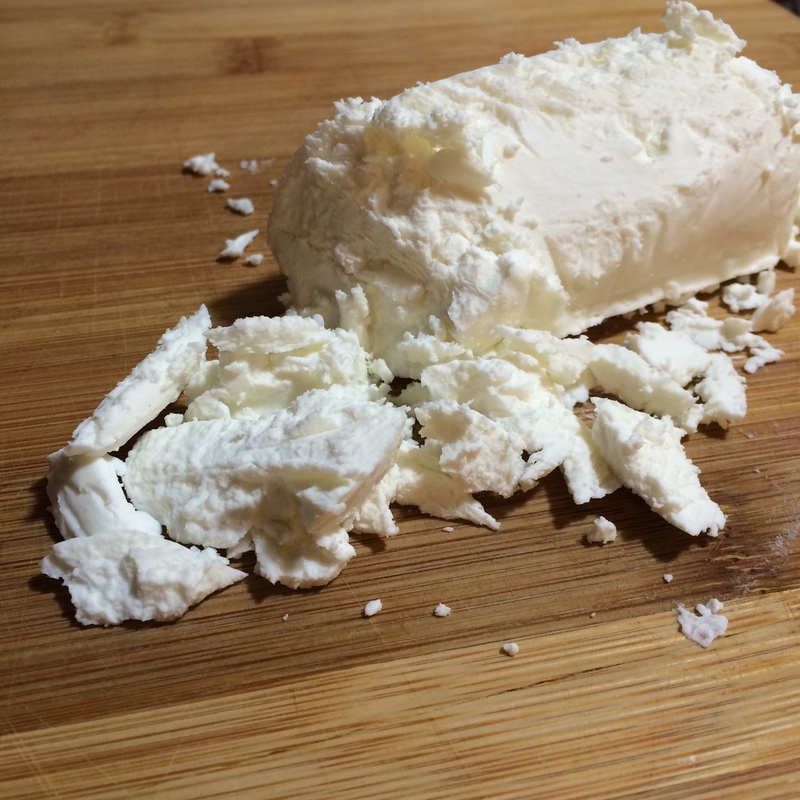 In a large bowl, knead the mixture (with a spoon or your hands), gradually adding in the goat cheese and beets. Keep mixing until everything is combined. At this point, it should have a thick consistency and stick together very well. In a large skillet, heat your oil on medium. 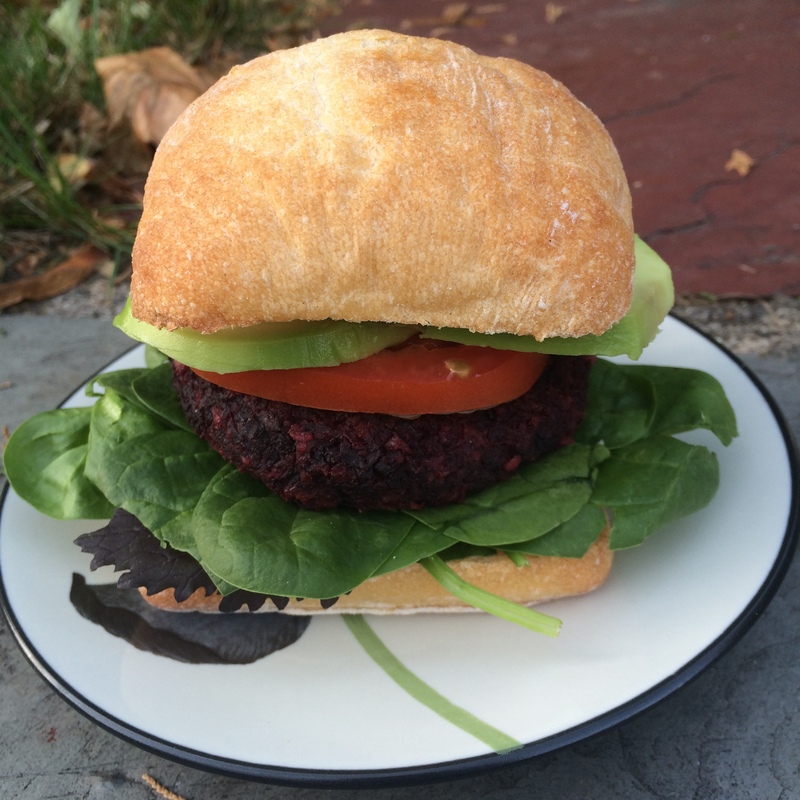 Form the beet mixture into burger-shaped patties (about 3/4-inch thick) and place into the oil. They should sizzle when placed in the pan. 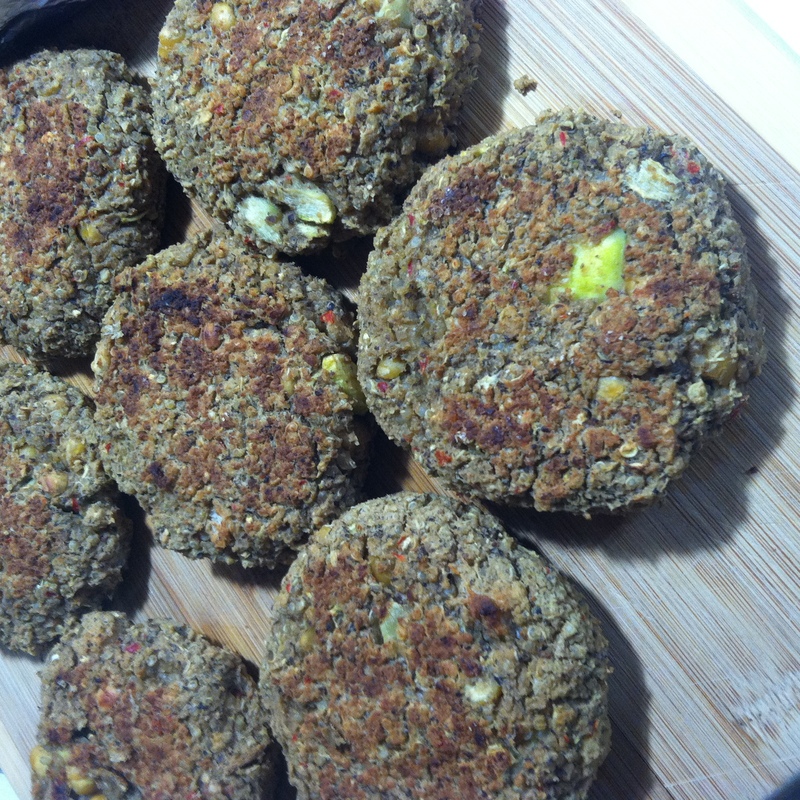 Let the patties cook about 1.5 minutes on each side, or until they get crispy on the outside. Add a bit more oil if they stick at all to the pan. 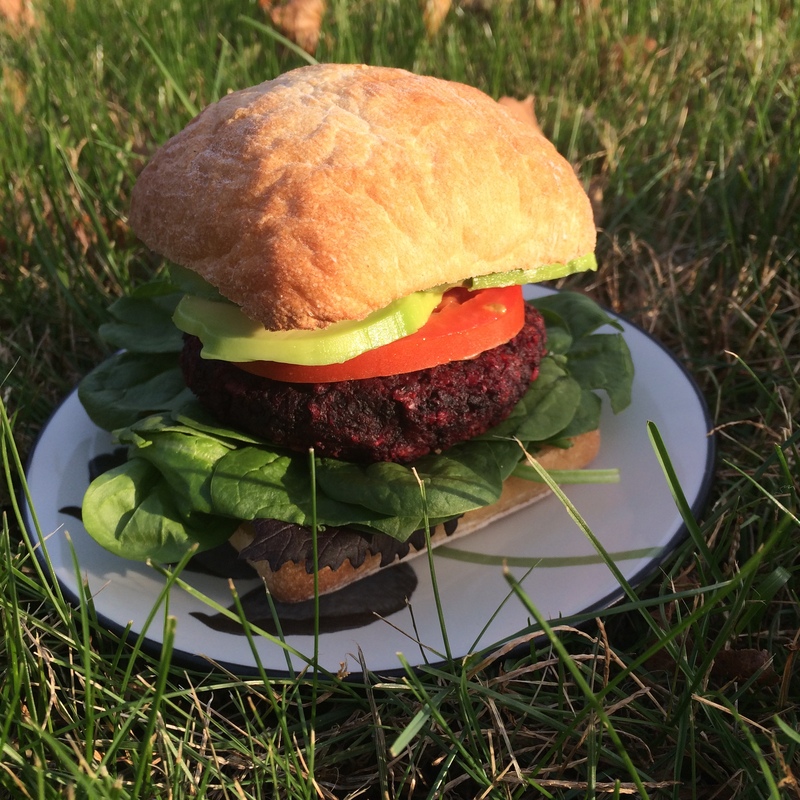 I served my beet burgers on lightly toasted Ciabatta with a slice of tomato, 2 thin avocado slices and a bed of lettuce. Of course, no burger is complete without a succulent sauce to pour on top. It took me a bit to come up with a good sauce option that would pair well with beets, but I actually came up with a few (below). If you don’t want to spend extra time making a sauce, go into your fridge. 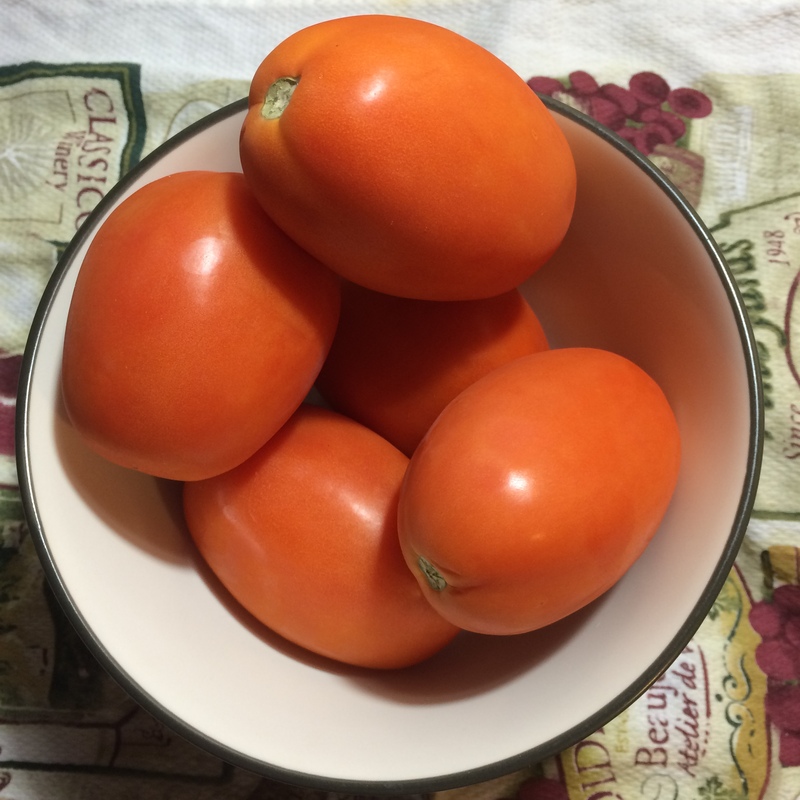 BBQ sauce works great, as does salad dressing – I recommend a roasted red pepper, Italian or balsamic dressing. Plain Greek Yogurt with Dill: Simply take a half cup of yogurt, dice about a tablespoon of fresh dill, and mix. Dollop onto burgers before serving. Herbed Goat Cheese Sauce: Mash 4oz creamy goat cheese in a bowl (you might have leftover cheese from the burger recipe). Bring 1 cup milk, 1 tsp ground basil, 1 tsp garlic and a dash of salt and pepper to a boil in a small saucepan. Pour milk mixture over mashed cheese and stir until combined. Re-boil the entire sauce, stirring until thickened. Pour about a tablespoon over burger and toppings. Ginger Chili Crema: (Alert: This takes a long time). Heat (but don’t boil) 1 cup heavy cream in a small saucepan. Pour into a glass jar with a tightly-fitting lid and add 1 tbsp buttermilk. Let sit for up to 24 hours until cream thickens. Stir in 1 tsp ground ginger and 2 tbsp diced chilies. Reseal the lid and refrigerate for 24 hours. Stir well before dolloping on your burger. There’s nothing better than a summer meal. Like really nothing at all. There’s just something about that wonderful smell wafting from the grill from flame-kissed summer veggies that makes every slow sunset better than the last. 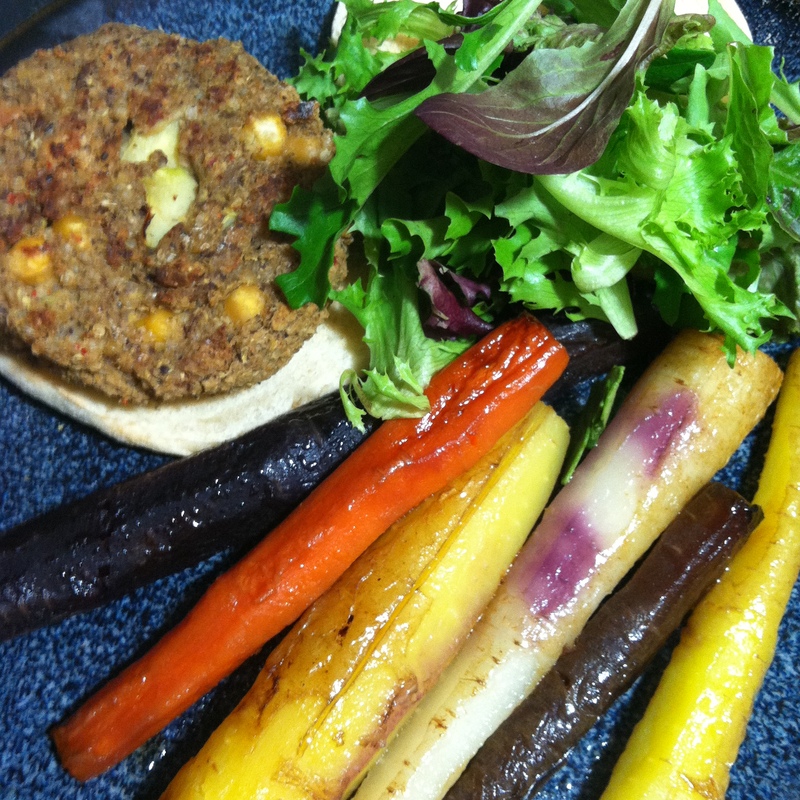 My longtime desire to create a veggie burger recipe that actually works on the grill without falling horribly apart has finally been realized, along with my longtime desire to cook tri-color carrots. Anyways, on to the perfect summertime recipe. Cook the quinoa according to package directions. 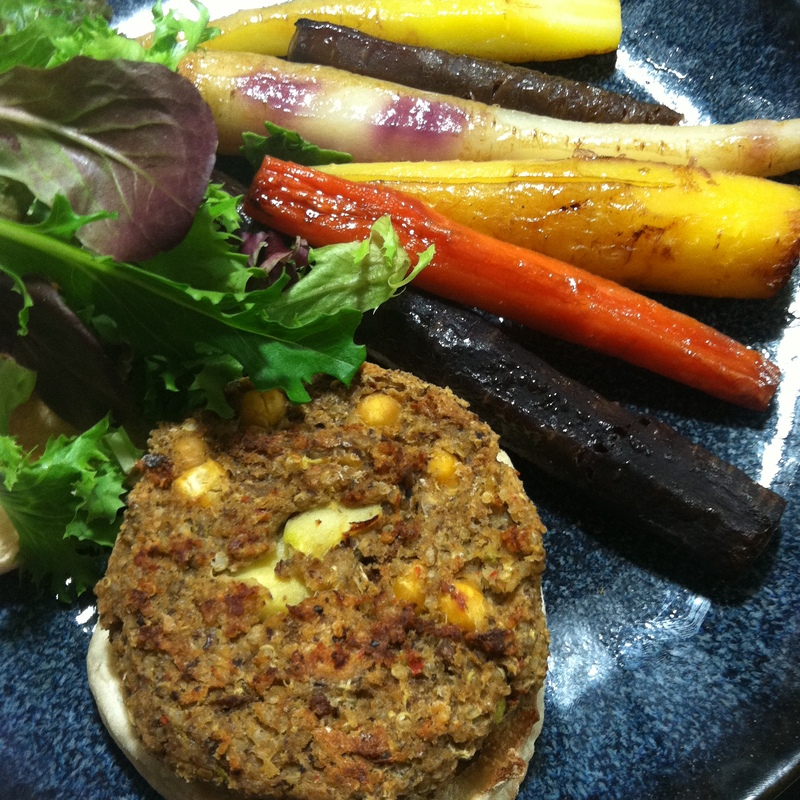 Set aside 1 cup of the cooked quinoa for this recipe and use the rest for whatever! 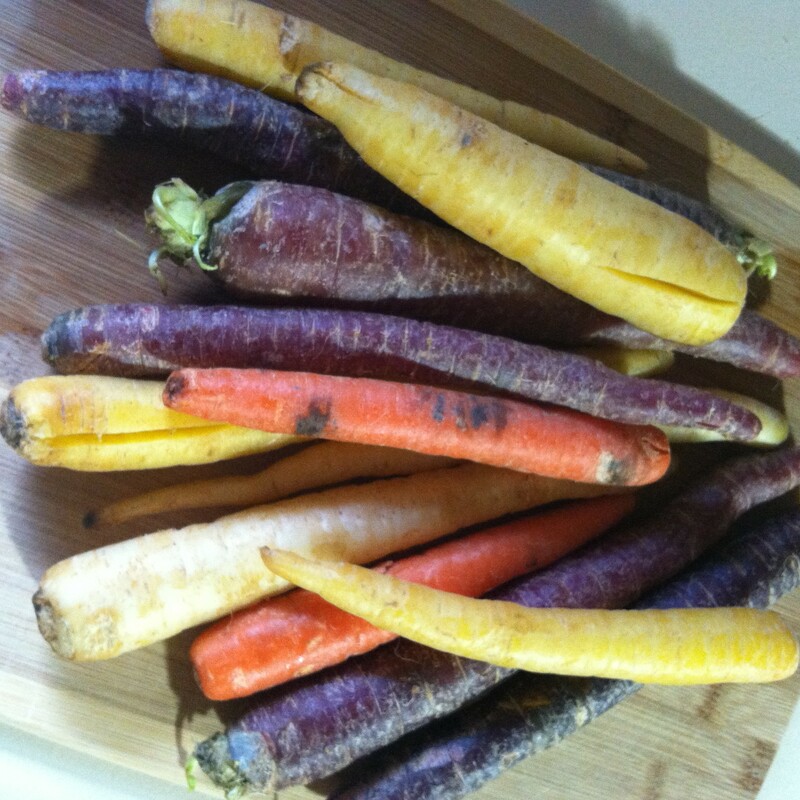 Mix the honey and the curry powder and brush over the carrots. Lay the carrots out on a large piece of lightly oiled tin foil. 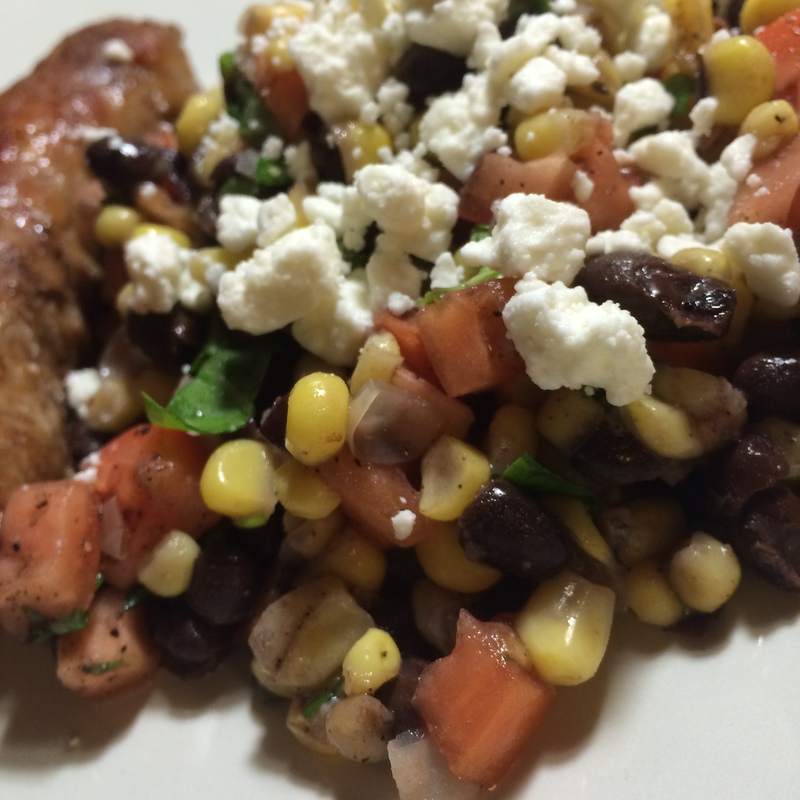 Wrap tightly and place on the top shelf of the grill. They’ll need about 45 minutes to an hour to cook fully, and they will be ready to eat when they’re very soft. 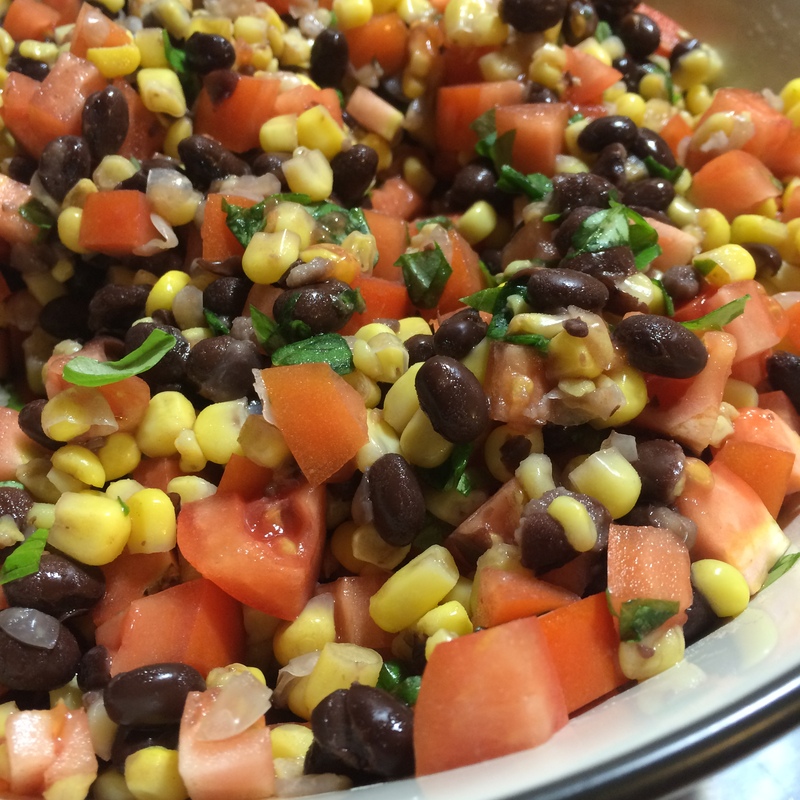 Drain and rinse the black beans and chickpeas. 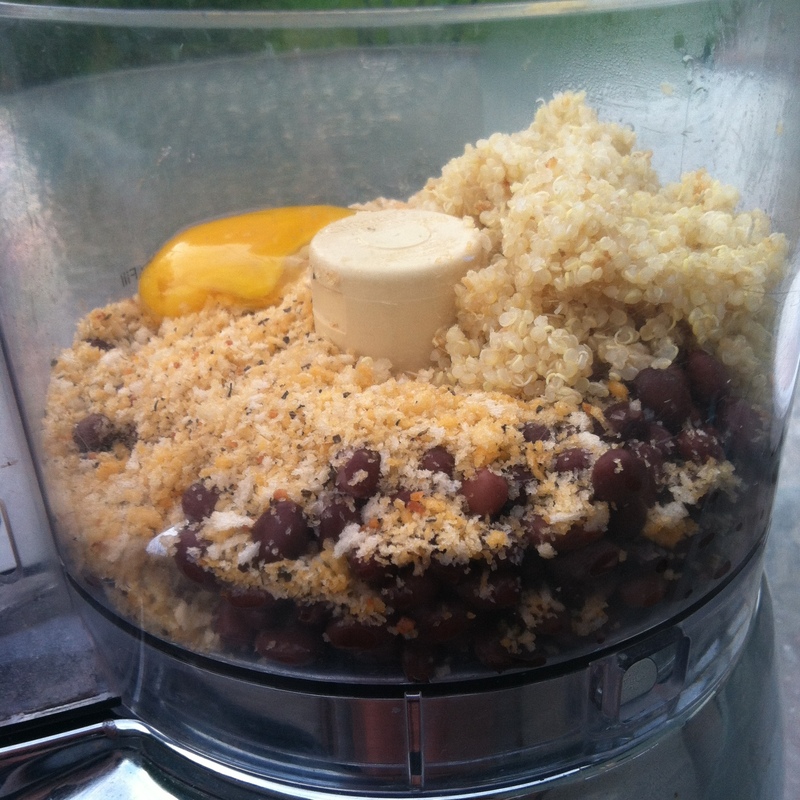 In a food processor, load in the two cans of beans and the rest of the ingredients. Pulse gently until the mixture is coarsely ground. If it seems too loose and won’t make burgers that feel fairly solid, add additional panko until the mixture is thicker and forms burgers without trouble and without globbing all over your hands (I have no better way to describe this). Lay burgers out of a piece of lightly oiled foil and place on the grill. Let the burgers cook about 5 minutes on each side and flip them four times. Toast your burger rolls of choice or just eat the burgers bun free! I topped them with ketchup and mescalin mix. Pro Tip: Make these gluten-free by substituting the panko for a gluten-free bread of your choice (just chop it in the food processor ahead of time).